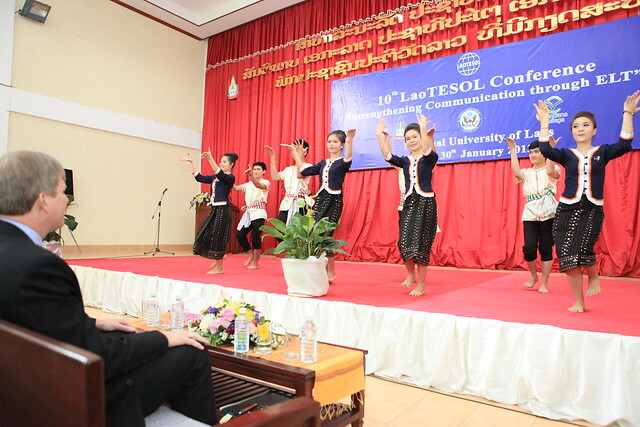 January 29-30, 2013, marked the 10th Annual Lao TESOL conference. It's an annual event that brings teachers of English language in Laos together. Participants include Lao nationals and foreigners. It's very much an opportunity for the participants to meet and greet and more importantly for Lao teachers to gain more knowledge from shared ideas. Guest speakers and presentations were completed by both Lao and non-Lao teachers, professors and embassy and government staff. Participants included Lao, Australian, Thai, and Japanese, among others. Thanks for sharing this post.Taking admission in graduate programs in TESOL opens up many job opportunities to those who want to take their English teaching careers to the next level.